Florence is an amazing city filled with art and architecture. It has wonderful food and beautiful gardens. It is also a popular city for students and young adults, and as such, it has excellent bars, clubs, and pubs. 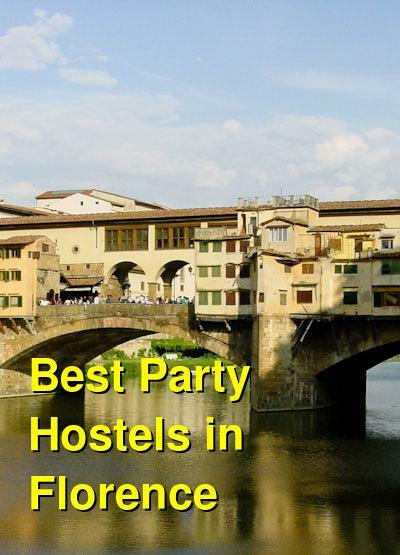 If you're looking for a good party with a young crowd, then any of these hostels will put you in the right place. 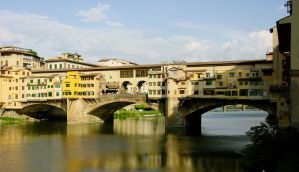 PLUS Florence is conveniently located in central Florence. It caters to a backpacker crowd, but offers comfortable and modern amenities. It really goes above and beyond with its facilities. Some features include a swimming pool, onsite cafe and restaurant, tours and a travel information desk, and terrace bar, large dorms, DJ's, and a female only part of the building. It's a social setting that is filled with a diverse group of young travelers who are looking to have a good time. The layout of the building makes it easy to meet other guests and make new friends. If you're traveling alone, you'll quickly meet some new travel companions. If you're visiting Florence and hoping to have a great time, then this hostel is a good start. This hostel is an excellent option for young visitors to Florence who are hoping to have a good time with other travelers. It is just a three minute walk to the Stadio and Palisport and is in the Campo di Marte quarter of the city. You have to take a bus into the city center, and it's a ten minute ride, but the price for the rooms are quite low. There is a lot of common space and an onsite bar so meeting other guests is not a problem. They also offer nightly dinner buffets which are a great way to meet other guests. In general, the atmosphere of this hostel is perfect for young travelers who are on a tight budget. Emerald Fields is located very close to Santa Maria Novella and on the same street as the Academy Gallery. Although the rooms remain very quiet, there is a nice common room that is equipped with a television, computers, and free internet access. It's a great area to meet other travelers and exchange stories. There is also a kitchen available for guests use as well as a microwave. There's an outdoor terrace that has a barbecue, table and chairs that many guests enjoy using in the evening. It's a relaxed but fun environment and there are often guests hanging around looking for conversation. This hostel is in a great location near Florence's best nightlife and many of the most popular attractions. You can easily walk around this part of the city and there are many different restaurants and cafes nearby. It's an affordable option in a great part of the city so budget travelers love it. Amenities available include luggage storage, 24 hour a day security, free city maps, lockers, and internet access. The staff is friendly and knowledgeable of the city so if you have any questions don't hesitate to ask. There is also free sangria available every Friday and Saturday night.